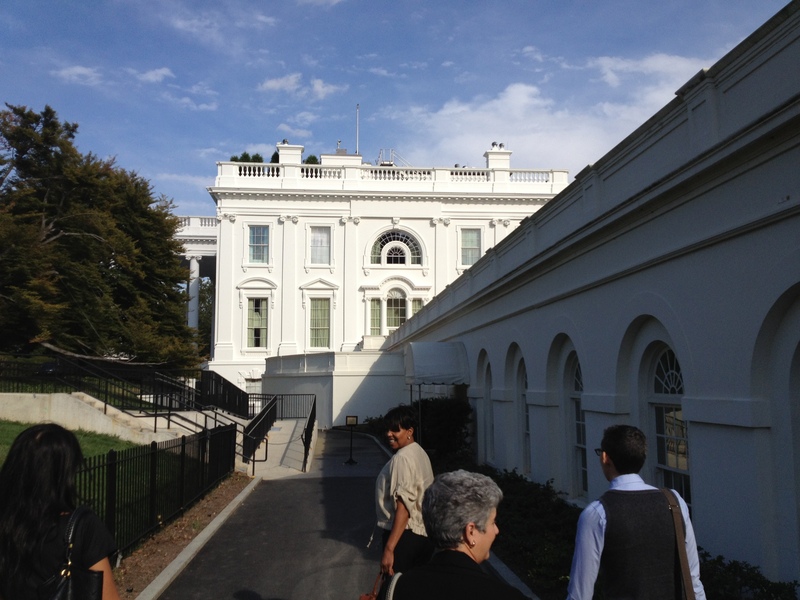 My Visit to the West Wing! 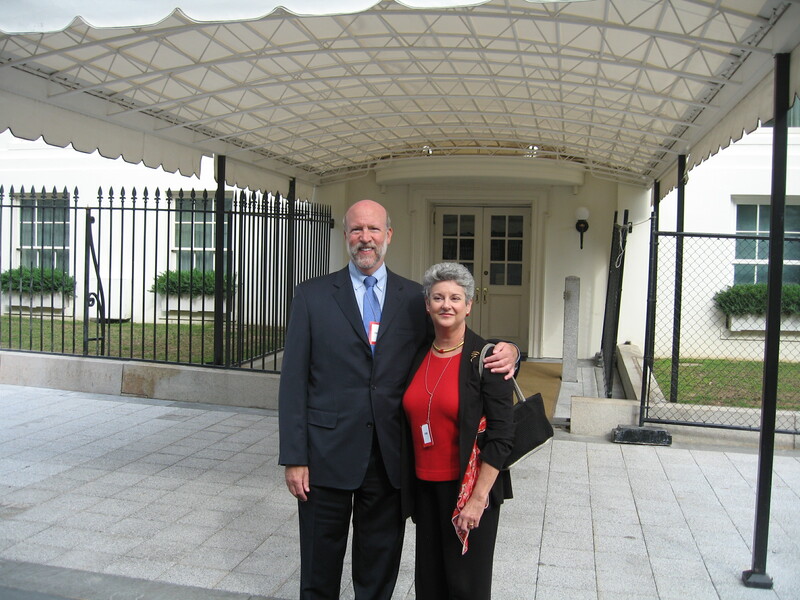 It all started with an invitation I received to go to a Town Hall Meeting at the White House! 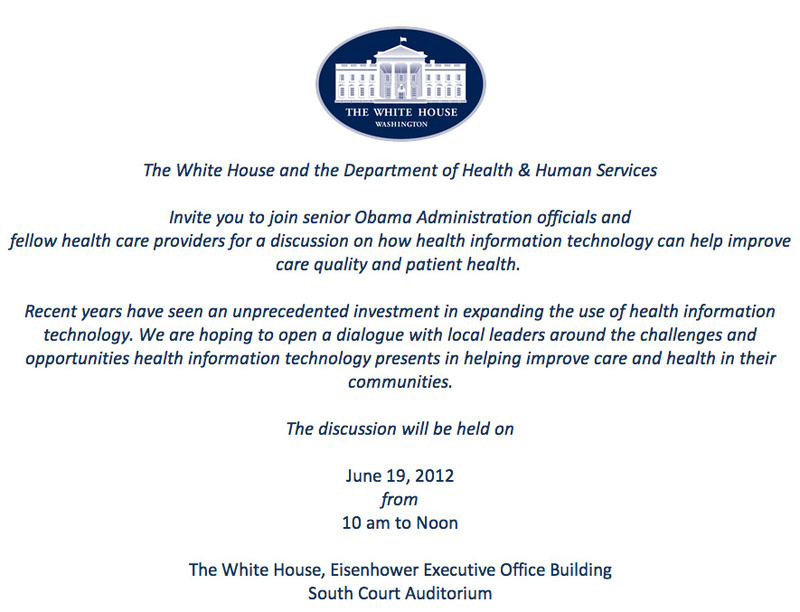 I’ve been active in Health Information Technology and I was asked to attend this meeting as a local leader representing Maryland physicians. Naturally this was an invitation I could not refuse! 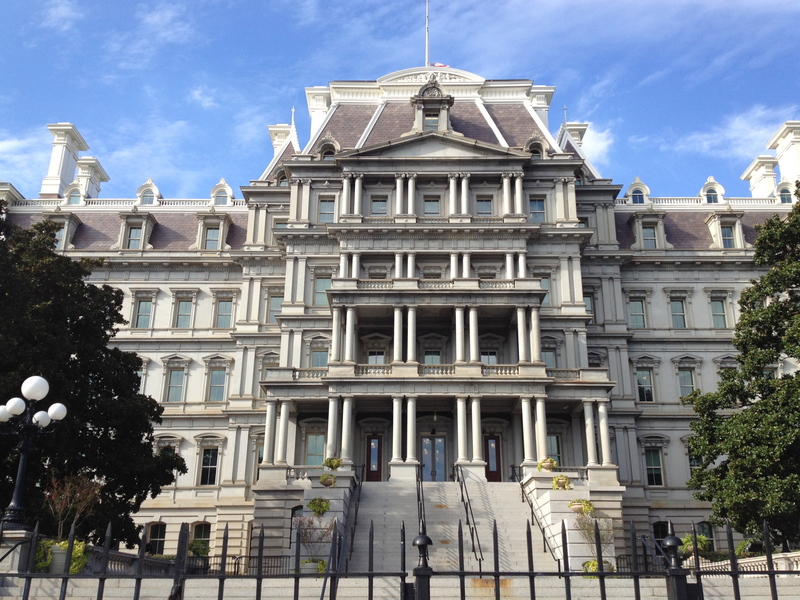 The meeting was held at the Eisenhower Executive Office Building. I had a great time hearing about the expanded use of electronic health records and how they present many exciting opportunities for improving our health care. Dr Farzad Mostashari, the National Coordinator for Health Information Technology, lead a spirited discussion about the potential this new technology has for the future. Later on back in my office I happened to be bragging (just a little) about my trip to the White House and one of my patients said that she worked there and would I like to see the West Wing? She would arrange for a private tour and would be our guide. I couldn’t wait to have this once-in-a-lifetime visit! 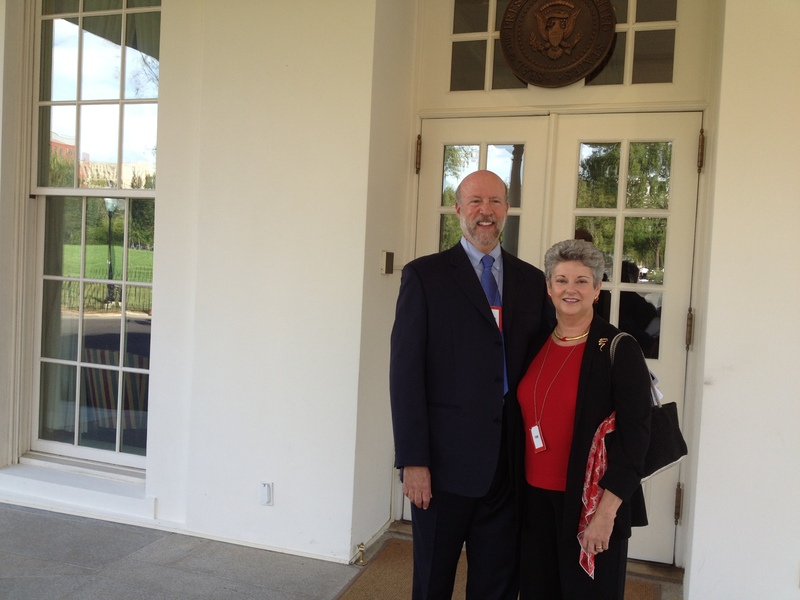 My wife and I sent in our security information, and then had an appointment to visit the West Wing. We went through security and were at the ground floor entrance. We went inside to the lobby, then saw the Navy Mess and the entrance to the Situation Room. During this part of the tour no pictures are allowed. 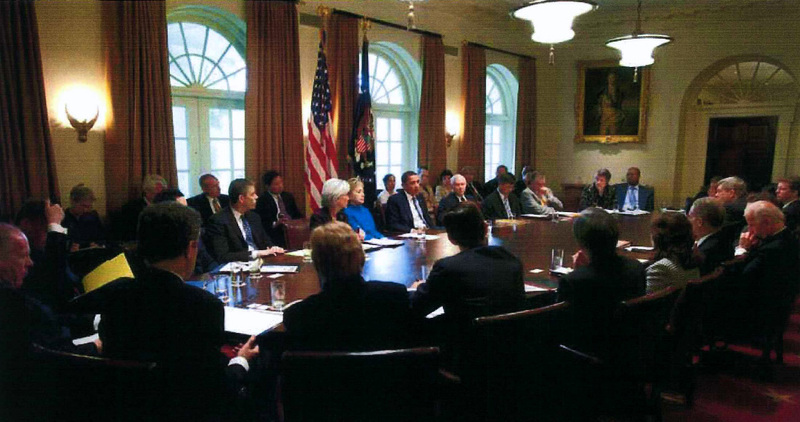 Soon we went upstairs and saw the Cabinet Room. Here’s an official picture of how it looks. The interesting thing about it was that outside in the hallway there’s a large box containing 50 or so numbered small cubicles. We were told that everyone who enters the Cabinet Room has to surrender their cell phone and have it placed there- No Exceptions! 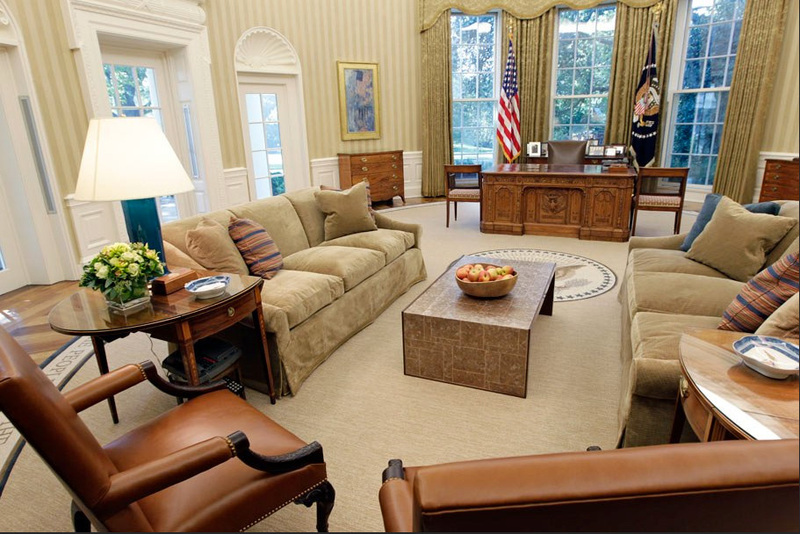 Soon we had the great thrill of seeing the Oval Office. Here’s a recent picture of it and this is just how it looked to me. 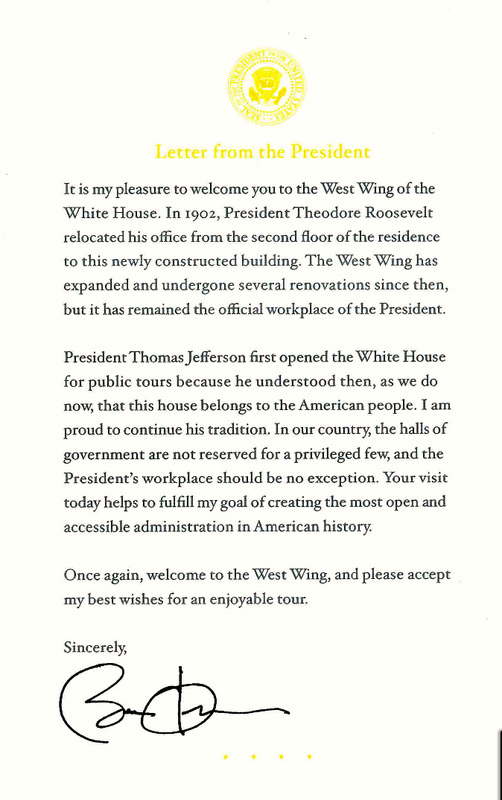 We were also given a nice booklet that described the West Wing in more detail and it had a welcome from the President. 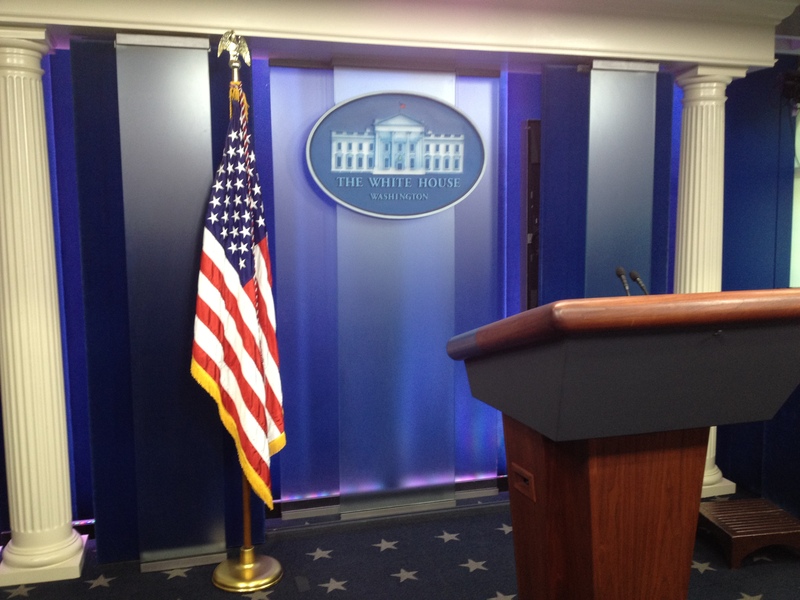 We then departed through the north entrance to visit the Press Briefing Room. The room was surprisingly small. I suppose it gets quite crowded at times. There was a cameraman there who cheerfully informed us the Redskins were ahead. We had our pictures taken once again and then it was time to go. Wow, what a fantastic visit it was! It was inspiring to see where the President works. There were many pictures of people he met, and I understand the pictures are changed frequently. The guards were all very courteous and helpful. It was a day I’ll never forget! This entry was posted in Our Office and tagged Cabinet Room, Eisenhower Executive Office Building, John F. Kennedy, Martin Luther King, Oval Office, West Wing, White House. Bookmark the permalink. 1 Response to My Visit to the West Wing!